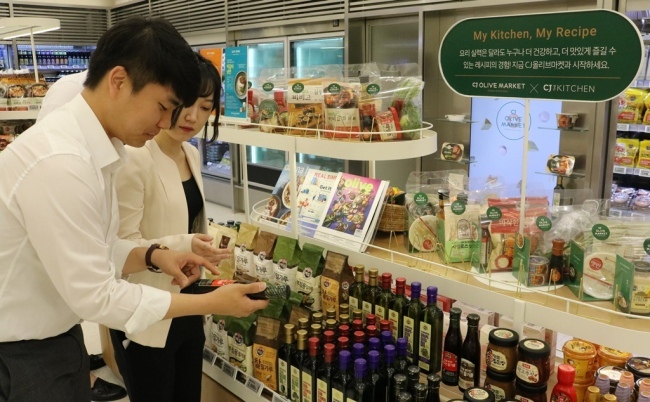 Customers look at ready-to-eat products and food ingredients at CJ CheilJedang’s newly opened Olive Market, a grocery store that focuses on home meal replacements, in Seoul. The store is the first such attempt in the industry. 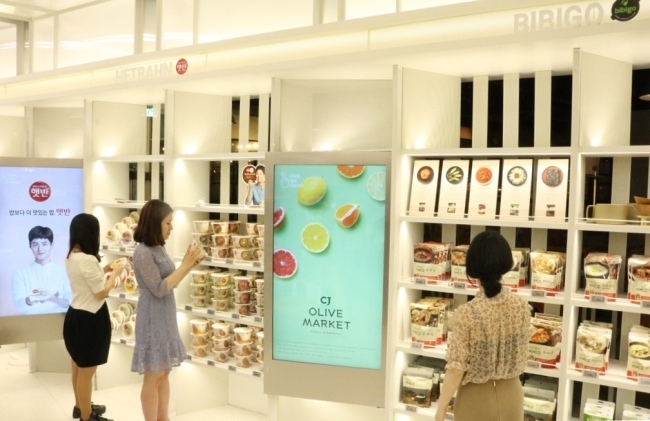 CJ CheilJedang said customers can enjoy one-stop shopping with a variety of its signature HMR products including Haetban (cooked white rice), Bibigo’s frozen dumplings and the Gourmet hamburger steak.